Landmark Window Systems - Windows/Doors/Conservatories based in Plympton, Devon. PLEASE CALL INTO OUR SHOWROOM TO VIEW OUR WINDOWS & DOORS ON DISPLAY. FREE FRIENDLY ADVICE. 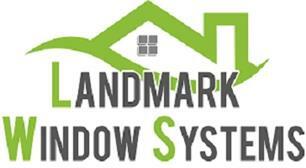 Welcome to Landmark Window Systems. We are a family run business based in Plymouth with over 25 years experience within the double glazing industry. Landmark Window Systems specialise in the supply and installation of aluminium and upvc glazing systems. Landmark can cover all aspects of glazing whether it is for replacement, new build, or commercial applications. With all our installations registered with Fensa (where applicable) and covered by our GGFI insurance backed guarantee, we feel Landmark Window Systems is a company you can put your trust in.